Mighty Clean is a local Owner Operated company serving Gainesville VA residents. Your carpet is a big investment, but normal wear & tear can quickly leave it looking dull and dingy. When it’s time to have your carpet cleaned, how do make sure you get the best service around? 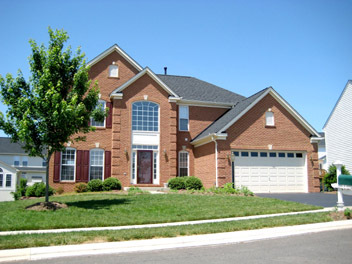 Here’s a few reasons why Gainesville, Va residents trust Mighty Clean for their carpet cleaning needs. 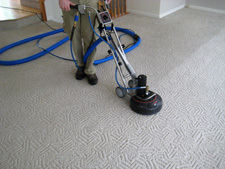 We are the carpet cleaning Gainesville VA experts, you don’t just get some guy with cleaning equipment.We are owner operated and have gone through extensive training to learn the chemistry behind the solutions we use. Technicians are certified by the I.I.C.R.C. and trained to ensure they know the most effective ways to remove soils, tough stains, and protect your carpets to ensure they last for years to come. We use the Hot Water Extraction Method (Steam Cleaning) of cleaning carpets, recommended by the major carpet manufacturers including Shaw Industries. Just as the best method for cleaning laundry requires hot water, detergent, and agitation, so does cleaning your carpets. That’s why we use a truckmouned unit and a rotary extraction cleaning wand for the most outstanding results. Gainesville VA Residents love our Guarantee! We guarantee your satisfaction the first time every time. If you’re not totally satisfied with the results following your cleaning, we’ll return to clean any areas of concern at no cost to you. If for whatever reason your still not totally satisfied we’ll refund your money no questions asked. Gainesville is in Prince William County, Virginia, United States. The population was 4,381 in the 2000 census and 28,662 in the 2009 estimate. Gainesville was once a changing point for stagecoach horses on the Fauquier & Alexandria Turnpike. In 1852, the Manassas Gap Railroad reached the area and the stop became known as Gainesville. The town was a shipping point for grain, timber, and cattle and remained a major cattle shipping point into the early 1960s. During the American Civil War, nearby Thoroughfare Gap in the Bull Run Mountains served as a path for soldiers to reach the First and Second battles of Bull Run. 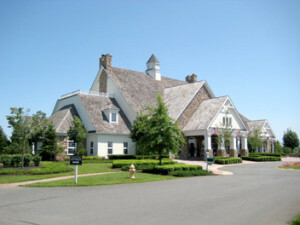 In 1994, the groundbreaking for the town’s first townhome community began; it was named Crossroads. This marked the beginning of mass-development for Gainesville. In 2006, VDOT began working on the Gainesville Interchange improvement project in order to ease the traffic in the rapidly growing Gainesville-Haymarket area. As of the census of 2009, there were 28,662 people, 10,300 households, and 8,604 families residing in the CDP. The population density was 1,150.2 people per square mile (174.1/km²). There were 10,300 housing units at an average density of 189.6/sq mi (73.2/km²). The racial makeup of the CDP was 88.77% White, 6.80% African American, 0.23% Native American, 1.37% Asian, 0.05% Pacific Islander, 1.53% from other races, and 1.26% from two or more races. Hispanic or Latino of any race were 3.77% of the population. In the CDP the population was spread out with 24.4% under the age of 18, 5.2% from 18 to 24, 36.7% from 25 to 44, 23.6% from 45 to 64, and 9.9% who were 65 years of age or older. The median age was 36 years. For every 100 females there were 97.4 males. For every 100 females age 18 and over, there were 94.8 males.